When the revolution of the blockchain took place and when this revolution introduced cryptocurrencies to our lives, the finance system has shaken. From now on, there is a new warrior on the battleground and some of other finance platform’s shares would be flowing in favour of this new warrior. However, like every revolution, this one also brought its own problems along. And the biggest one is where to fight? You can call it an arena or I can call it exchanges. From the beginning, exchanges also started to evolve since massive public demand increased exponentially and some of them adopted the change and survive, some of them which were not so lucky and not so well managed resulted in a painful closure. So, this is obvious that it doesn’t matter how well designed your project or how it solves many many problems when it comes to the exhibition of the project token in the exchanges. If your chosen exchange is not good enough, your token will be gone with the wind and it brings your delicate project along. Importance of the exchanges in the crypto world is incontrovertible and new exchange projects should be supported for the sake of the crypto community. 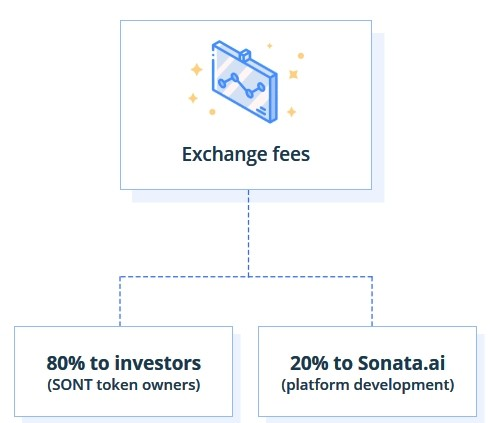 Sonata is a new exchange project also and it is an assertive one. Where does this courage come from? Let’s check it. 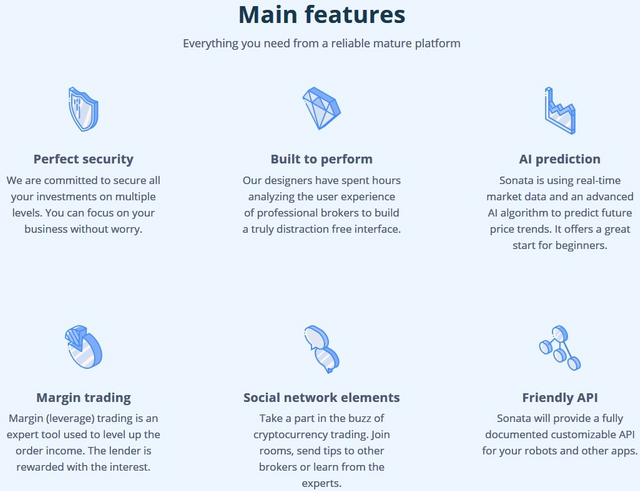 First of all, the team created Sonata is completely aware of the needs which have been led by the stable and reliable exchange requirements from the beginning. The very fundamental solution Sonata would focus is reliability and stability. Secondly, the functionality of an exchange is an obvious need which really matters when it comes to attracting attention. 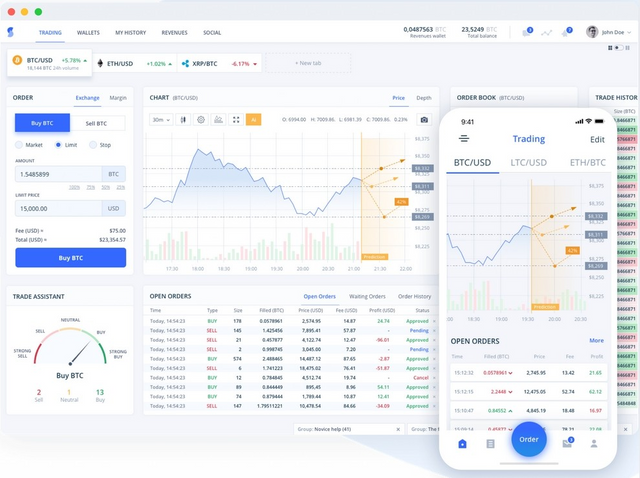 The team don’t think differently and we will see many functional features adapted from the seasoned Forex and other investment sectors. Another well thought the attempt is easiness when trading. This could be a real deal breaker when a newbie wants to get in the train. A complete awareness of this painful fact, the team has established a very user-friendly UI for the Sonata. One can easily see the difference I believe. Also, most of the convenient exchanges today bring you a transaction limit for your assets and apply enormous trading fees.. These can be seen as a moderate action but this also can be very annoying in emergency situations. And these will be solved, too when we officially meet Sonata. As a crypto investor, I always support exchange projects since exchange grounds need competetition whatsoever for accelerating through the solution points o clients needs. The more competition, the more benefit is provided for both sides of the investments.